GB Rowing Team coach Paul Thompson has been inducted into the ACT Sport hall of fame in his home city of Canberra, Australia, in recognition of his track record of leading medal-winning boats on the World and Olympic stage. Thompson, the Chief Coach for women at British Rowing, coached his first Olympic gold medal crew in 1996, coaching Australian pair Kate Slatter and Megan Still to victory in Atlanta. Joining British Rowing in 2001 as lead coach for the women’s squad​ Thompson​ was promoted to Chief Coach for the women and lightweight’s squad in 2005. Over the last three Olympic Games GB women and lightweights have won 11 Olympic medals, including five golds. ​He personally coached Dame Katherine Grainger to four of her Olympic medals including her gold with Anna Watkins at the London Games in 2012. “It is a deep honour and I’m very proud to be inducted into the ACT Sports hall of fame,” Thompson said from the team’s early season training camp in Majorca. “It’s especially poignant to me as I grew up in Canberra and that’s where I started my rowing. To be nominated and recognised in your home town is a humbling experience especially when the volunteers who helped and influence me as a teenage rower are still involved in the sport making a difference, they have been a source of constant support over time. It’s a similar scene I see in rowing clubs across the UK, it’s a fantastic part of our sport. “Also based in Canberra is the Australian Institute of Sport. Rowing and working for over a decade at the AIS was an inspiring time and I had the privilege to row, coach and work alongside some outstanding characters. I owe a word of thanks to them all. 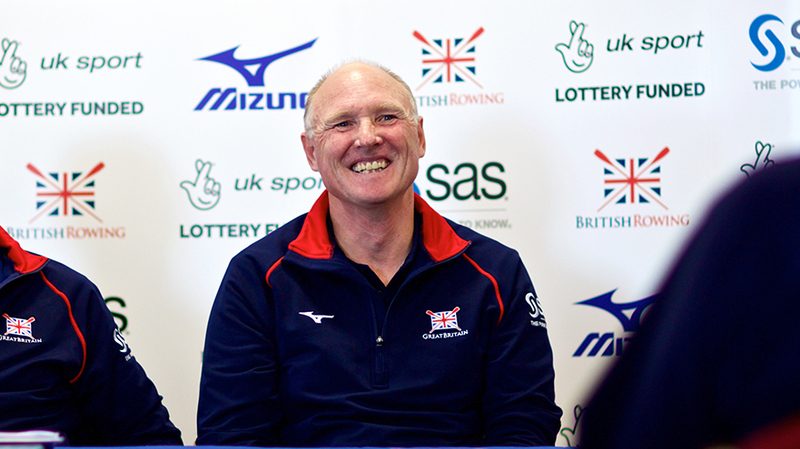 “Soon, I will be passing my 17th anniversary with British Rowing and it has been an equal privilege to work with the dedicated and talented rowers, coaches and staff at the GB Rowing Team, British Rowing and the English Institute of Sport. I have been especially proud to be part of the last four GB Olympic teams, the last three where we finished as the number one rowing nation. British Rowing is holding a women’s training day at Leeds Rowing Club on Sunday, 3 December to identify rowers who show the potential to be Olympic stars of the future. Find out more and sign up by clicking here.